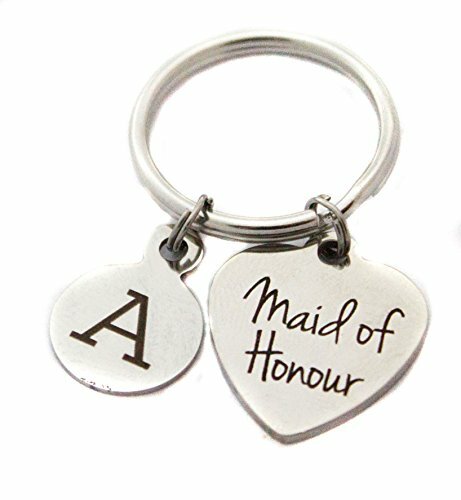 Keychain made with a stainless steel 3/4" x 7/8" or 19mm x 22mm Heart "Maid of Honour" charm. Customize with a stainless steel initial charm of your choice. Makes a great bridesmaid gift.